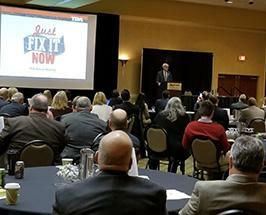 There was a packed house at the TDA Annual Meeting to hear from Governor-elect Tony Evers. 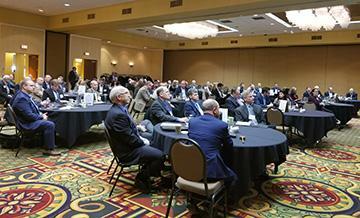 Participants also heard from legislative leaders and Brad Hollister, CEO of SwanLeap - a Madison-based logistics and transportation company recently named the fastest-growing U.S. company on the annual Inc. 5000 list. 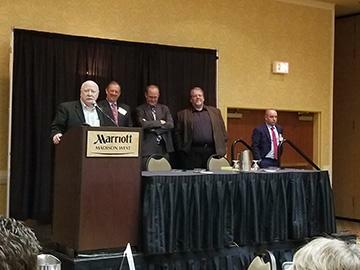 In addition, TDA honored some of its own members by presenting Transportation Service Awards to the League of Wisconsin Municipalities, the Wisconsin Counties Association, the Wisconsin County Highway Association and the Wisconsin Towns Association for their outstanding work on the Just Fix It campaign. From the forums to Turnout for Transportation to the Rough Road Tours, it would not have been possible without the support of the locals. Thanks to all who participated in this year's annual meeting. Voters in 31 states Nov. 6 once again showed their support for transportation infrastructure investments, approving 79 percent of 352 state and local ballot measures. In the most closely watched initiative (Proposition 6), California voters turned back an effort (55 percent to 45 percent) to repeal an increase in the state gasoline and diesel motor fuels tax that had been previously approved by the legislature as part of a 2017 transportation funding law. That decision by voters will help preserve more than $50 billion for urgently-needed highway, bridge, transit improvements in California over a 10-year period. 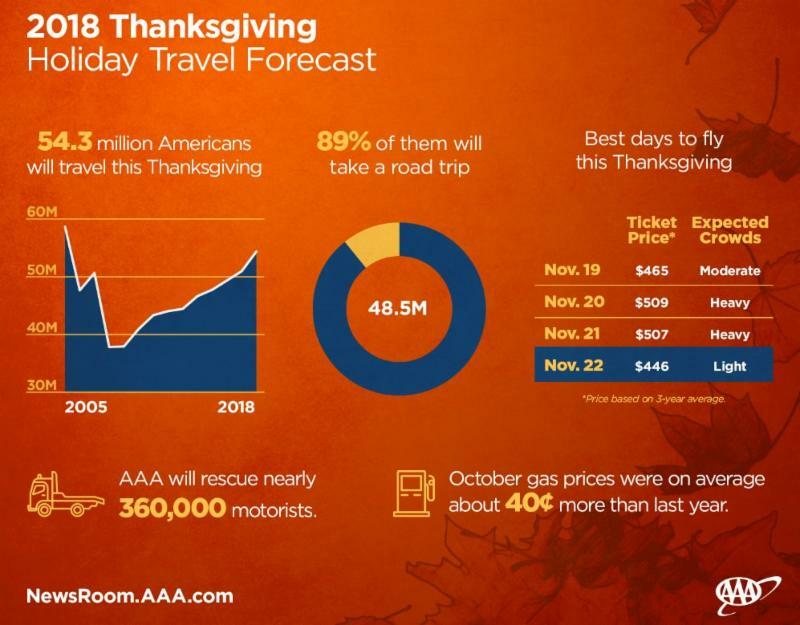 In total, the 277 approved initiatives are expected to generate over $30 billion in one-time and recurring revenue, according to the analysis conducted by the American Road & Transportation Builders Association’s Transportation Investment Advocacy Center™ (ARTBA-TIAC). 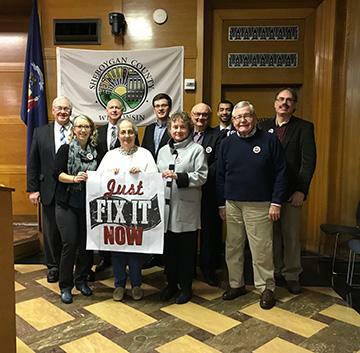 The Senate recently passed a bill giving the Environmental Protection Agency the authority to set rules for ocean-going ships entering the Great Lakes and requiring the treatment of ballast water before it is released into the lakes. The shipping industry has long sought consistent national standards for ballast water regulation. 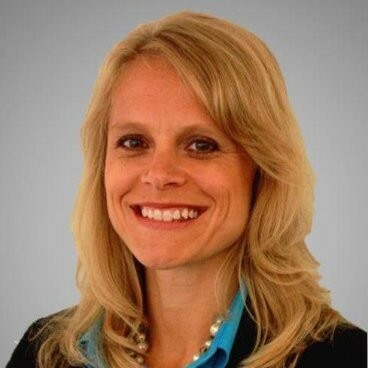 Allison Bussler, director of public Works for Waukesha County, was elected the Transportation Development Association’s 42nd president at the annual business meeting in Madison earlier this month. She will serve a one-year term. Bussler has been with Waukesha County since 2003 and the county's director of public works since 2009. She was first elected to the TDA Board in 2012 and joined the organization’s executive committee in 2016. Treasurer: Tim Peterson, James Peterson Sons, Inc. Thanks to all for their service. 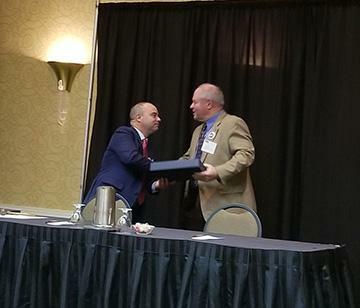 Be on the lookout for information about 2019 event dates, including the TDA Fly-in.